The tobacco industry is enjoying the billions of dollars people spend each year. Tobacco is well known to be causing a lot of health problems and diseases because of the many carcinogens it contains. Tobacco is well regulated which is why it’s priced high for taxes and many warnings are shown to sway people from smoking. But, nicotine is a highly addictive chemical, and many people who are already exposed to smoking just can’t easily kick the habit. Unfortunately, it is not just the smokers who are affected but second hand smoking also affects people around a smoker. 2nd hand smoke can also make a non-smoker addicted to nicotine which will then convert him to smoke and to also suffer from many smoke-related diseases. It is said that second hand smoking may actually increase your vulnerability to actually get addicted to nicotine. Parents who smoke may most likely end up having children who will also smoke. That’s because unconsciously they are introducing nicotine into the system of their kids by smoking when kids are around. Tobacco companies know about this trend but they don’t do anything about it because if they do, it may be the end of their industry. But, something has been done that will take the industry by storm. The tobacco companies would have to join in if they don’t want to be left behind. E-cigarettes or electronic cigarettes had only been introduced just a few years ago but it paved the way to making people see that there is an alternative to smoking that is much safer. 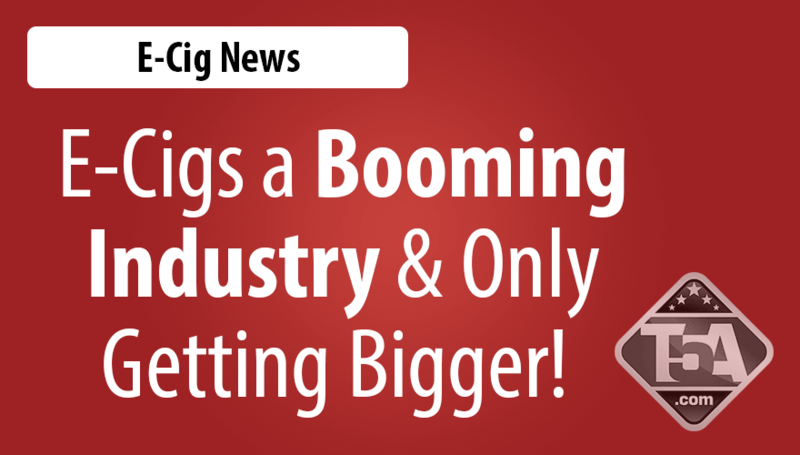 E-cigarette is a booming industry and it’s only going to get bigger especially when it becomes regulated in 2016. The Healthcare Products Regulatory Agency is said to be endorsing an e-cigarette brand that is produced by (BAT) or the British American Tobacco company and they will endorse this in 2014 and that’s going to make a big impact on the popularity of e-cigarettes. Because of this foresight, the tobacco companies need to be able to adapt to e-cigarettes before it becomes regulated if they don’t want to be left behind. When the Healthcare Products Regulatory Agency endorse an e-cigarette product this is going to be very critical because that will only be telling people that using e-cigarettes would pose lesser risks to you than when you keep on using the traditional tobacco cigarettes. The electronic cigarette is an electronic device that lets you inhale in vapor with nicotine. It can come in many different flavors from tobacco flavors to fruity flavors that make the experience a lot more fun. It is a substitute to regular tobacco as it looks and feels like a real cigarette. Some companies are now exerting efforts to develop their own brand of e-cigarettes so they could jump in with the trend as well. It’s about time the world sees the rise of e-cigarettes. There’s no study to prove yet that e-cigarettes is healthy for you but if compared to traditional cigarettes, e-cigarettes certainly pose a much lower risk. Traditional tobacco has already proven itself to be lethal with all the carcinogenic chemicals that gets burned and inhaled into the lungs. It’s the nicotine that people gets addicted to but other chemicals such as tar are also burned and introduced into the body and these lead to many health problems. E-cigarettes only let you inhale in nicotine and water vapor and other food grade chemicals that are known to be safe. It is quite obvious that e-cigarette smoking is indeed the much safer and more exciting choice.